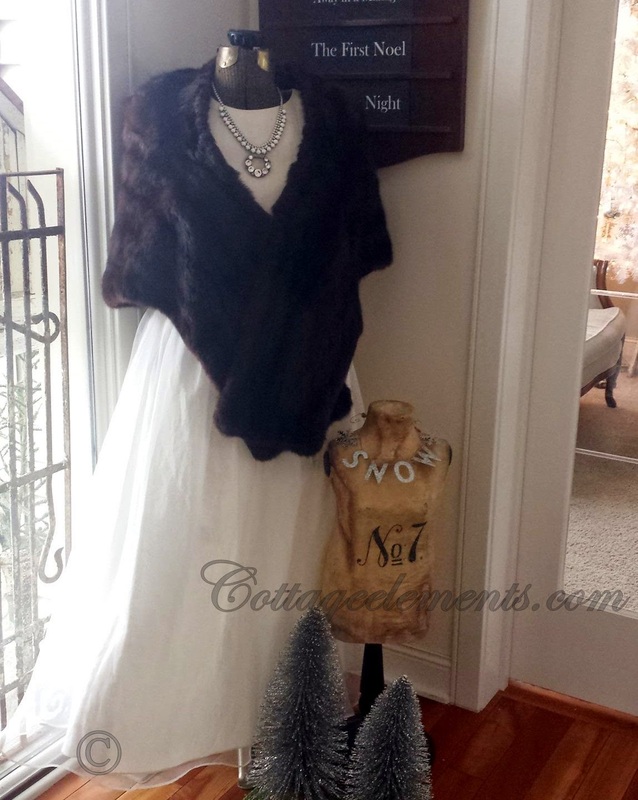 Cottage Elements: All Dressed Up and Ready to Celebrate! 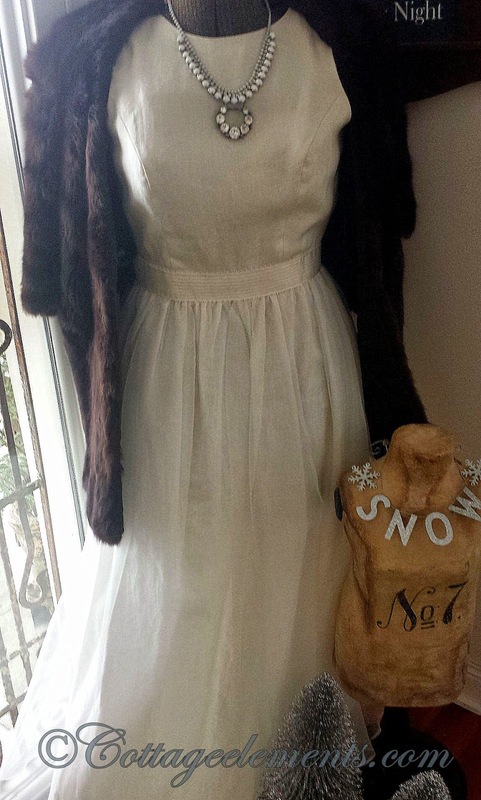 If you come to my home, you'll be greeted by my vintage mannequin. I think she's probably from the 50's, though I'm not quite sure. But as the seasons change, so does her wardrobe. With Christmas on the horizons, I dressed her up in a festive way. Now she's all ready to join in all holiday merriment! The first item added to her wardrobe is this linen and crinoline dress. Though it's really not vintage yet (probably from the '90's), it certainly has that feel. 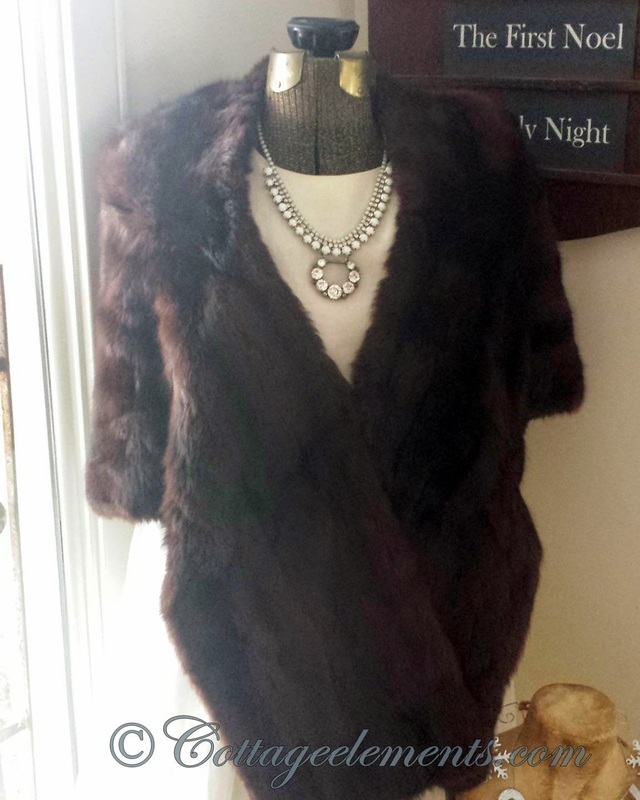 And of course she needs a vintage fur wrap. 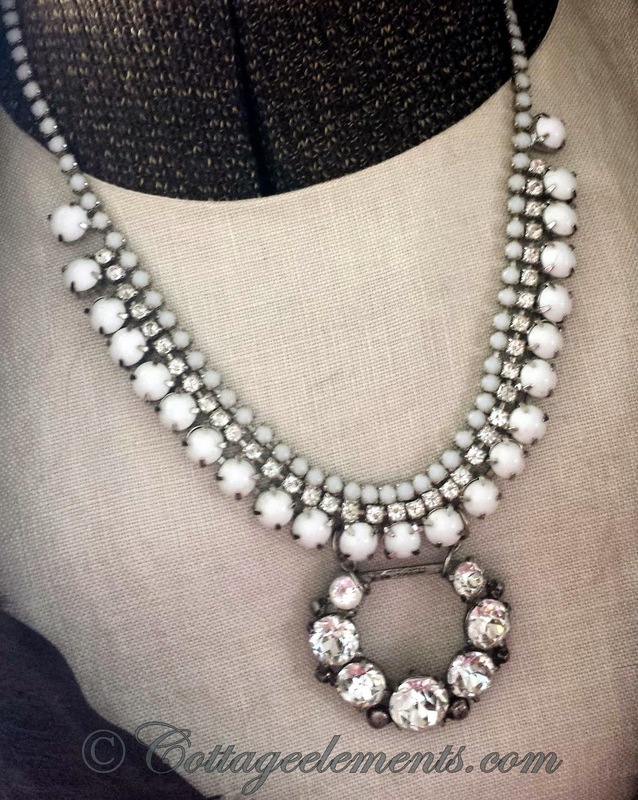 This one was picked up on a road trip to Nashville...it was a steal! 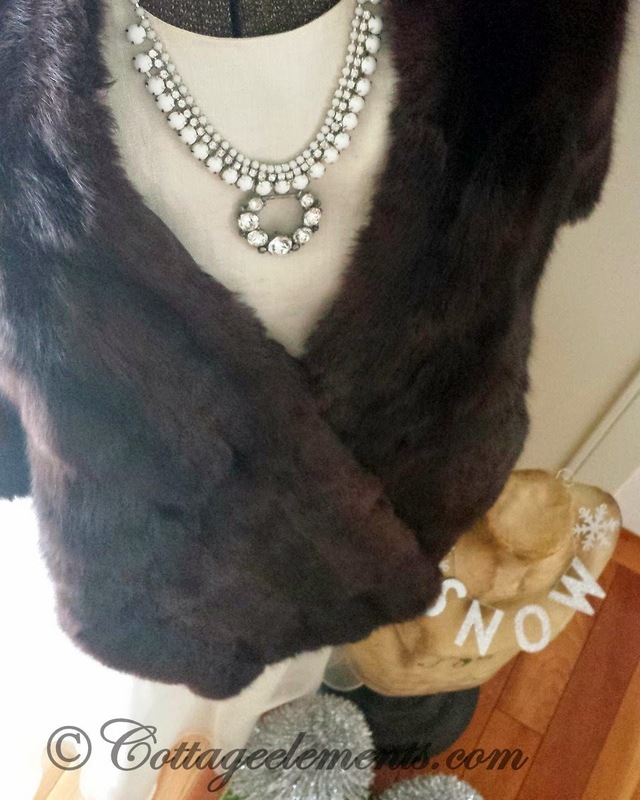 With a vintage fur you have to have some bling so I added this vintage rhinestone and white stone necklace. 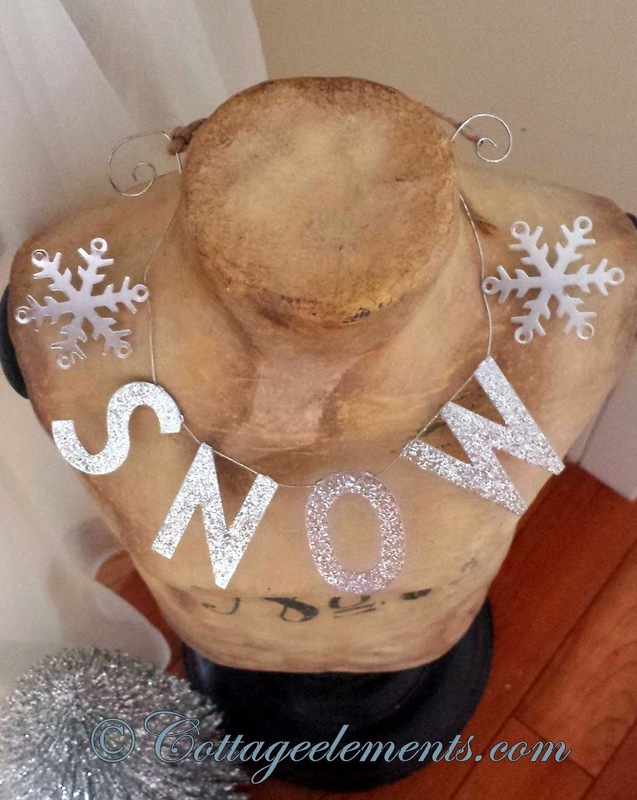 And not to be left out, her younger friend has a "snow" necklace; though I don't think we'll be having much snow for Christmas! So now that we're all ready, let's get this party started!